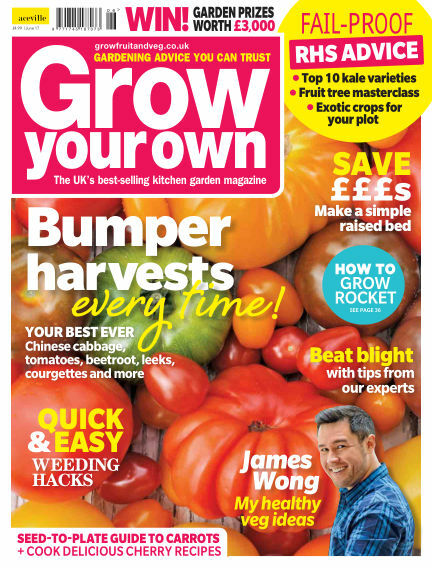 In this issue of Grow Your Own : Grow Your Own magazine is ideal for anyone and everyone who produces their own fruit and vegetables in their own garden or allotment. Grow Your Own magazine leads you into the exciting world of self-sufficiency whether you are a novice or experienced grower. Each magazine provides helpful advice and pointers from the industry experts. Grow Your Own magazine is packed with growing tips and ideas for gardeners of all abilities, from window box-growers to allotment plot-holders. Grow Your Own is a real treat as well as essential reading. By subscribing to Grow Your Own, you will receive a monthly indispensable guide to all you need to know to start living the good life today. Plus! With regular free seeds and plenty of discounts from top brands, you'll keep on saving those pounds. With Readly you can read Grow Your Own (issue June 2017) and thousands of other magazines on your tablet and smartphone. Get access to all with just one subscription. New releases and back issues – all included.